Always downing a glass of red wine in the evening? Don't be ashamed. Red wine has some great health benefits when consumed in moderation, including improved memory, lower risk of heart disease, and even bone strengthening. 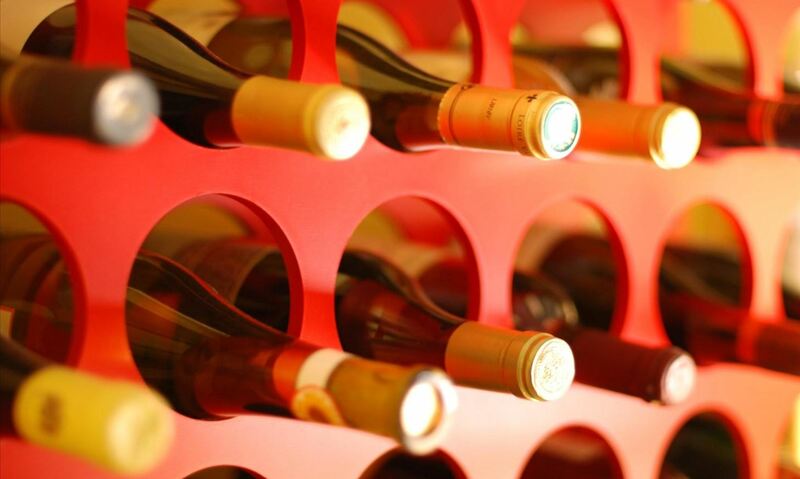 Aside from improving your health, stocking up on your favorite wine can provide you with tons and tons of cork stoppers. Why would you do that? Because they can be reused for a million different purposes! 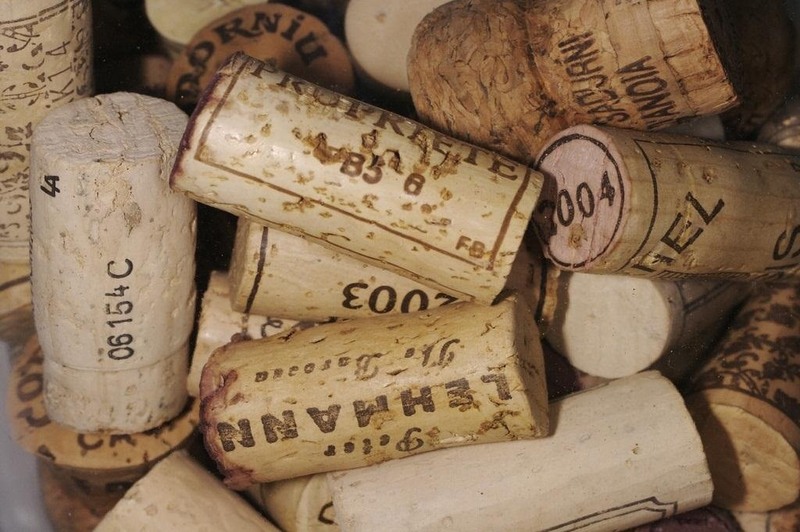 Wine corks are a very popular medium in the art community, used for portraits, decorative letters, jewelry, and even sculptures. 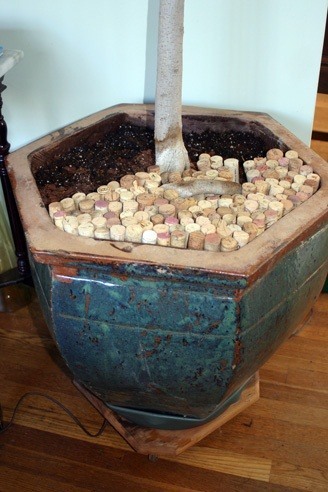 But they're also used for more practical reasons, like some of these awesome wine cork projects! 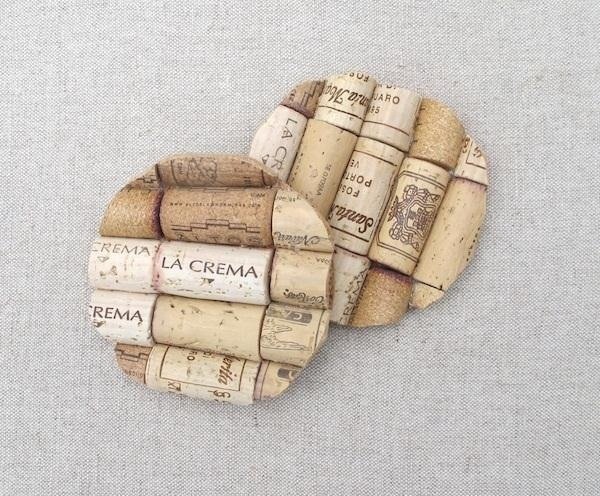 What would go better with your glass of wine than some DIY wine cork coasters? It's the most obvious reuse for your old wine stoppers. You can even make a bigger one for your wine bottles. 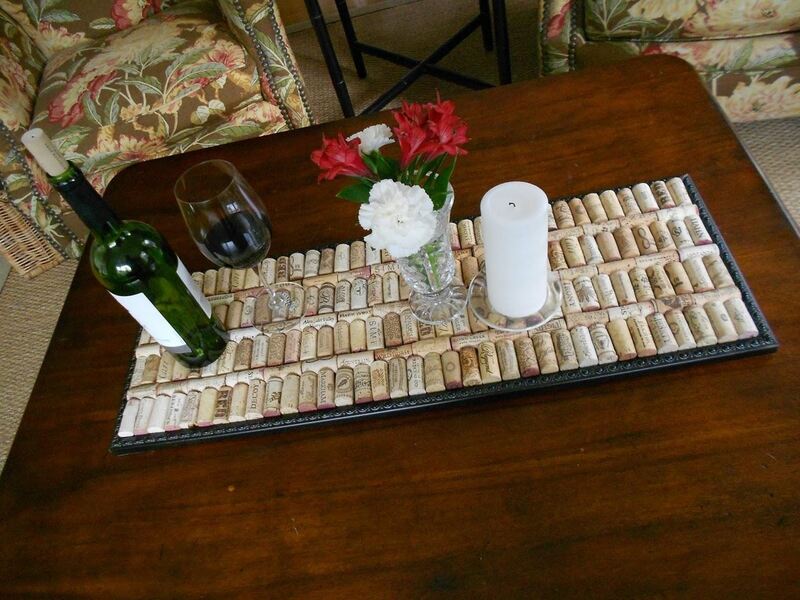 Now, expand on the coaster idea and make something with a little more room, like this DIY wine cork serving tray. Looks like you'll need about 188 wine corks for this one, so get drinking. When you're drinking wine, eventually it will want to come out, so the bathroom seems like the nest best thing to share your wine cork wealth with. 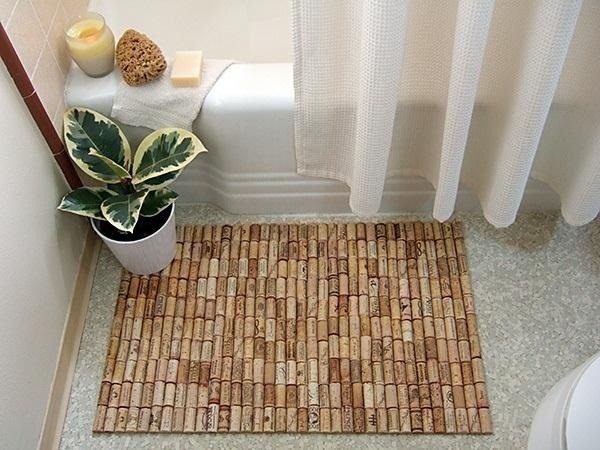 Give your feet something comfortable to stand on with this DIY wine cork bath mat. Most people buy bulletin boards when they need one, but why waste the money when you can make a perfectly good one at home? And drinks a few glasses of wine in the process? 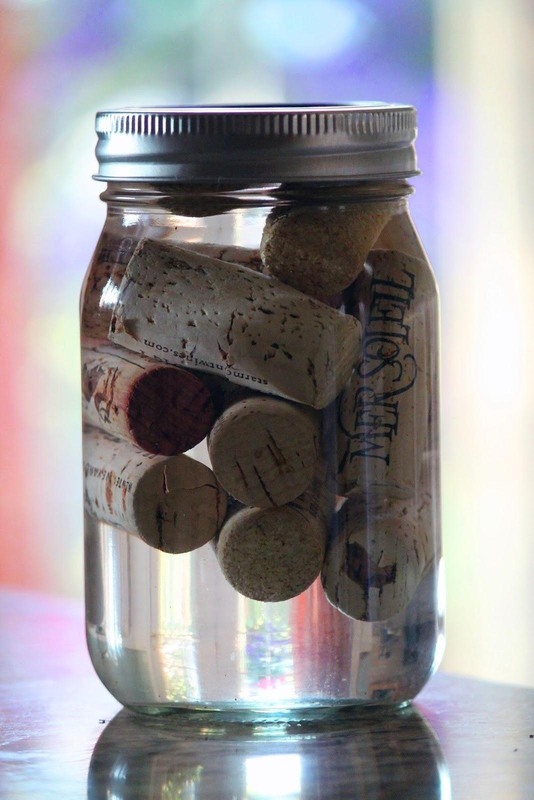 Check out this awesome tutorial on making a DIY wine cork corkboard. Who doesn't like to dress up nice? It feels awesome to put on some fancy clothes and strut about like a true sir. 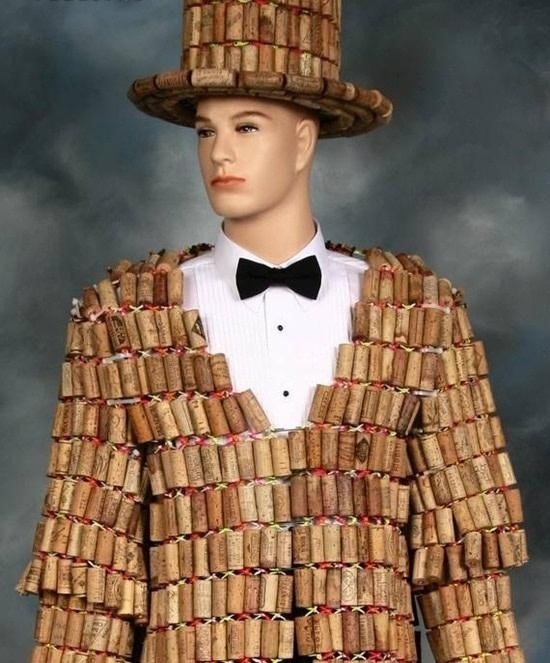 So, why not combine your need to look like a gentleman and your old corks? Behold the Corkxedo! 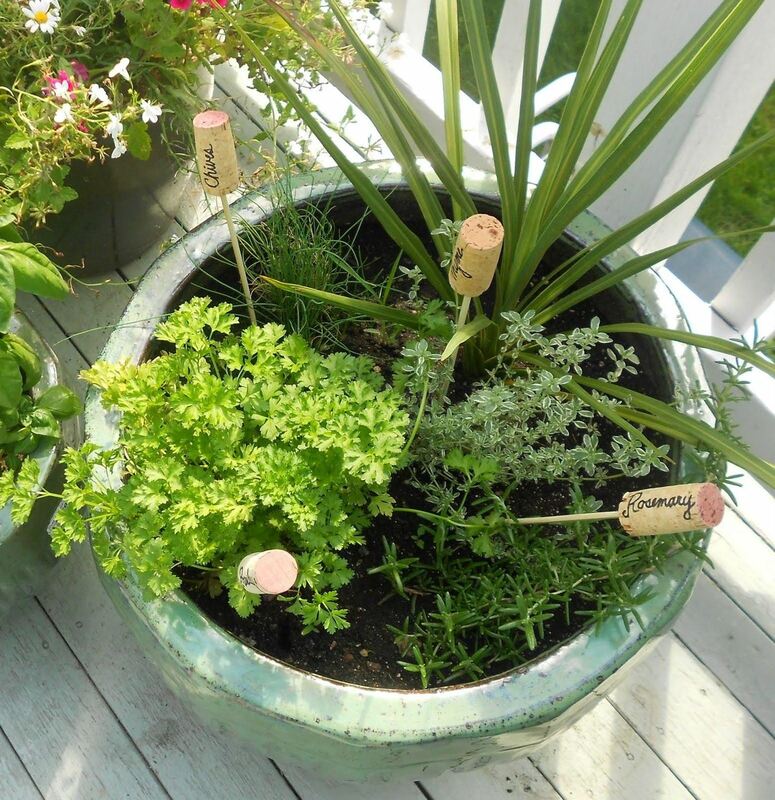 Keep losing track of which herbs are which in your garden? 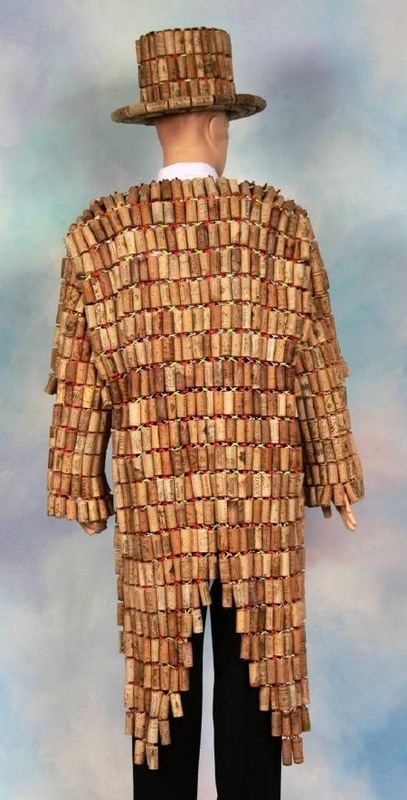 Wine corks to the rescue. 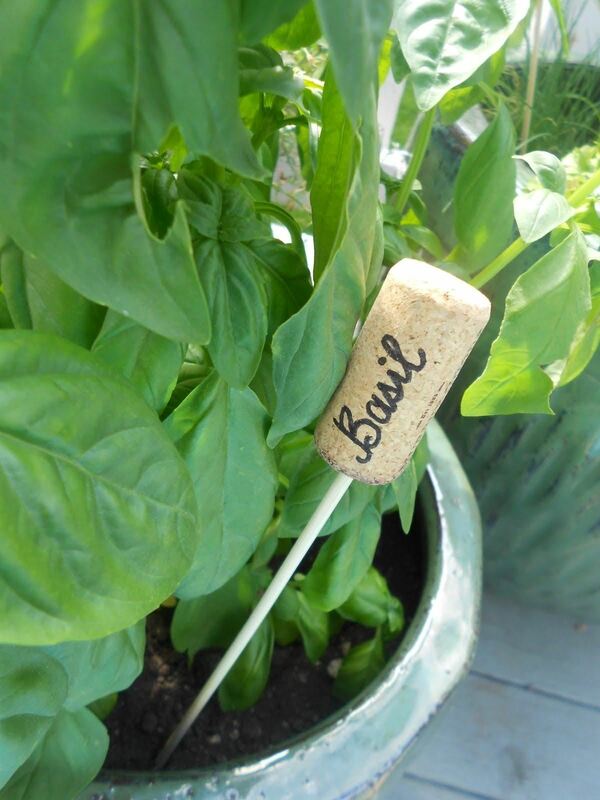 After you're done making herb markers with your wine corks, you might as well throw the rest of them in your potted plant for some protective biodegradable mulch. When you're fishing, sometimes it can be hard to tell whether or not the fish are biting. 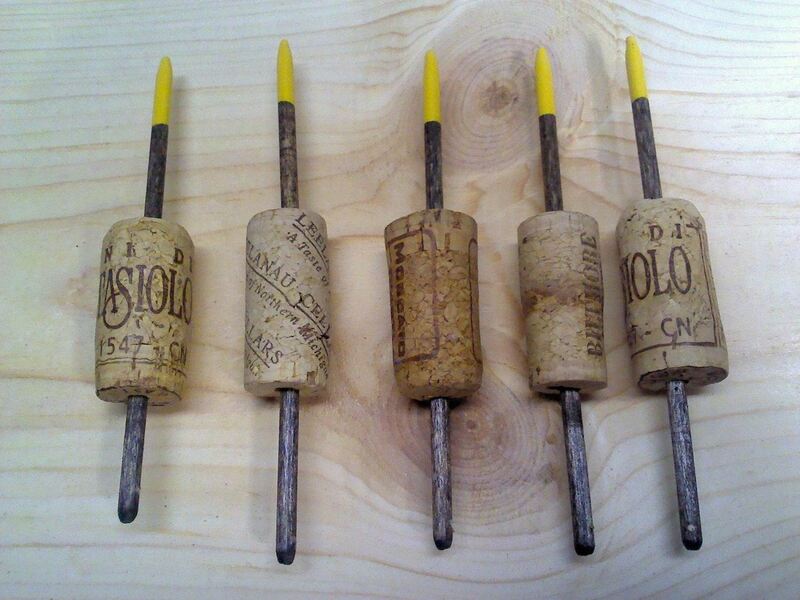 That's where these DIY wine cork fishing bobbers come in. Need a new lighting scheme in your house? 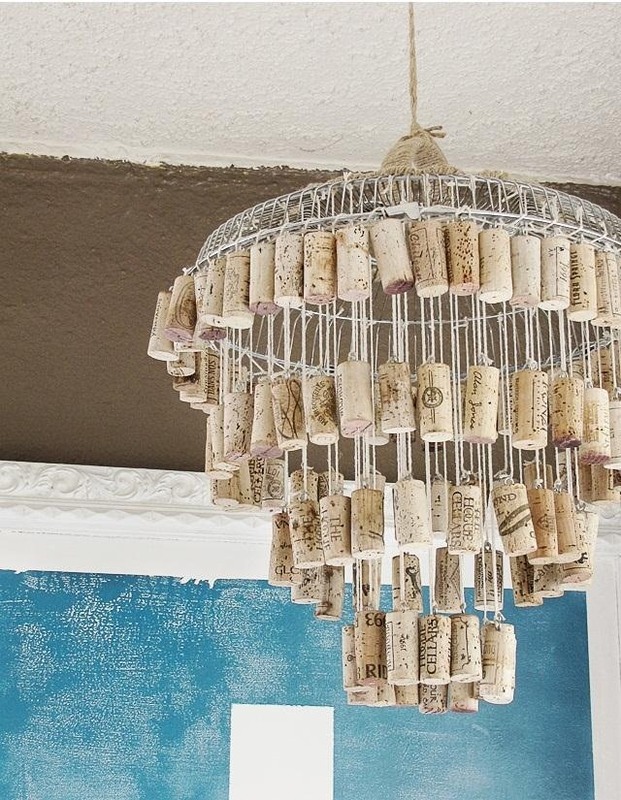 Go the upcycled route with this DIY wine cork chandelier. 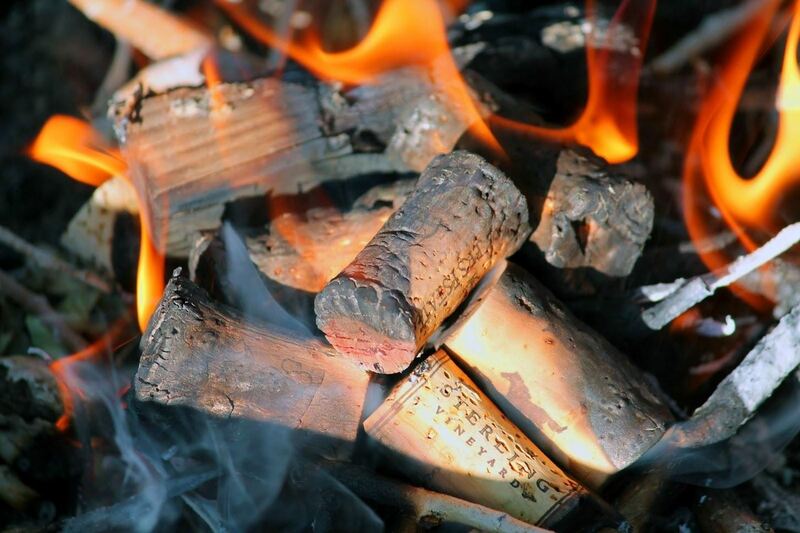 For the outdoor adventurer, perhaps the most practical reuse for old wine corks are fire starters. 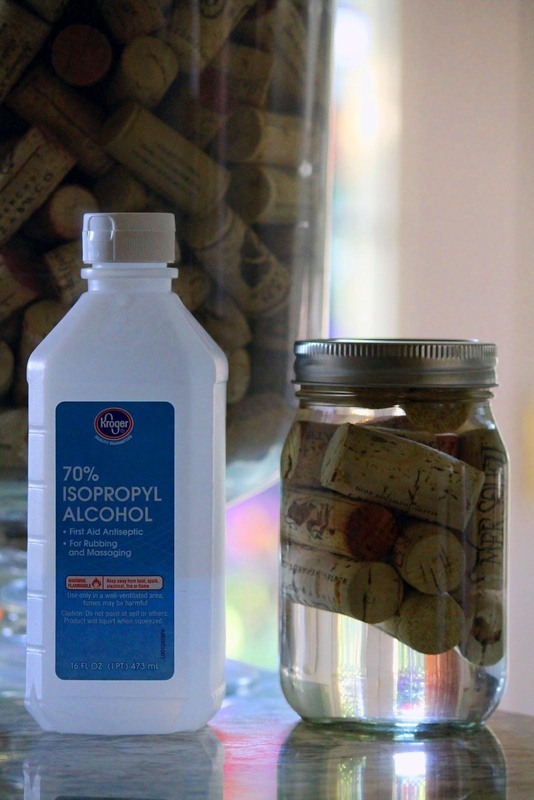 Just soak your cork stoppers in a jar of alcohol before you head out on your next camping trip and you've got instant fire! 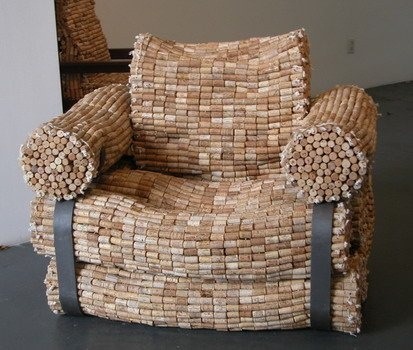 Now, what are you going to make out of old wine corks? Hello! Do you know? In French, we name wine corks "bouchon". It is also the french name for fishing bobbers!. But we say also "flotteur" (floater). Another use of the old corks is to cut slice to use as shock absorbers (sliding doors) but also to adjust wobbly furniture. I always have a few wine corks in my toolbox!